Shin’en, the small Nintendo-friendly indie developer from Europe continues to impress us all. 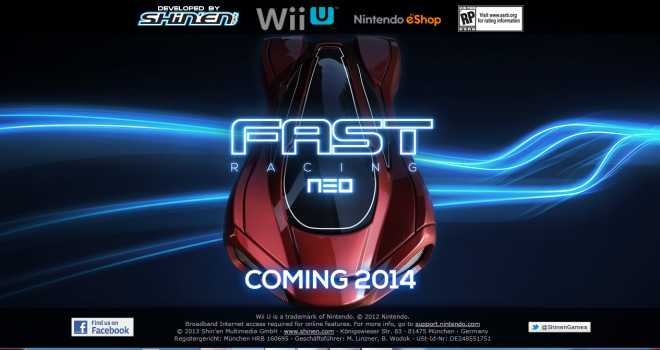 On Twitter, Shin’en confirmed that Fast Racing Neo, their latest game releasing Spring of next year will actually feature 4-to-8k resolution textures, creating some “hyper-realistic” graphics. Now of course, the Wii U doesn’t actually support 4K output, but this doesn’t mean you won’t see any differences – you’ll actually see many differences. For one, the textures will be as sharp and smooth as they can possibly get. This also means that when close up to an object or wall, you won’t see the textures start “pixelating” – they’ll still stay detailed and sharp. The small studio previously confirmed this year that they will be using a 2nd-generation they created ground-up specifically for Wii U for Fast Racing Neo, so it comes to no surprise that this game is pulling off such a technical feat.